My love of music isn't something new, it's been a lifelong interest. I remember, while still in high school, seeing Herman's Hermits, The Animals, Young Rascals (loved the singer's voice), Sam and Dave, and the Lovin' Spoonful, to name only a few. While in college in Ottawa (Ontario) I would go to Pineland and one of the groups I heard was David Clayton Thomas and the Shays, who went on to become the voice of Blood Sweat and Tears. I was looking at some old pictures recently and came across my photos of the Ike and Tina Turner Review. You know that the photos are old if they include Ike Turner (standing behind the microphone). 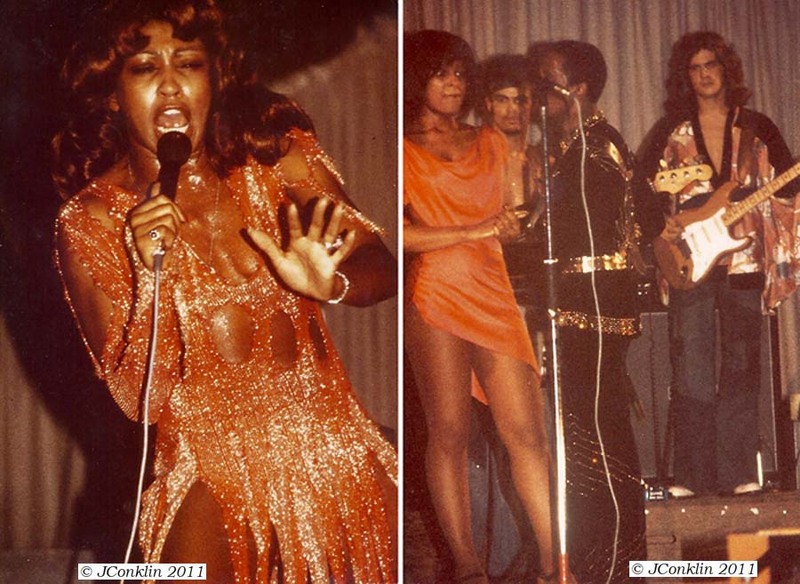 These two photos were taken in November, 1974 in Karlsruhe, Germany, two years before Ike and Tina went their own ways, Tina escaping from Ike's abusiveness. The pictures are still in fairly good shape, given how old they are and how many miles they've travelled over the years. Ike died in 2007 of a cocaine overdose. I remember good music, Tina's powerful voice, a lot of dancing and energy and that I really enjoyed the show.